I'm sick of casual games. Do repetitive stuff to get coins/stars/points. Spend points to get better equipment. Continue doing more repetitive stuff. After the first five minutes, they aren't fun at all. Games with in-app purchases are particularly bad, as they force you to do the same mindless chores again. A few months ago, I had purchased a game called Little Inferno but I only just got around to playing it. It is brilliant. Estimating by the game content, I have played one tenth of the total content. Made by the same people who made the World of Goo, it is as enjoyable as my experience with the World of Goo. There is no aim, there is no goal. You never lose. There is some story-line in the game, but that doesn't keep you going. What keeps you going is that this game is fun. You burn stuff, and it does interesting things. Sometimes burning things together does interesting things. It is difficult to explain why anyone would want to play it. Ever threw something in a camp-fire to see what happens? Well, this game is like that. You burn stuff, then head to your catalog to see what else you can burn. You could be done in five minutes and stop playing. Or you could burn stuff for hours. Either way, you get calm and enjoyment. That sets it apart from a significant chunk of the games already. This game does two things which are remarkable. First, it has a commentary about the state of the world that unravels as you play it. I'm far from the finish, but the hints till now suggest an interesting message about the world we live in. The game is also a hilarious look at casual games, and how inane casual games have become. If it were that alone, it would be a gem. However, more importantly, this game is truly funny. The things you get are funny. The way they burn is funny. 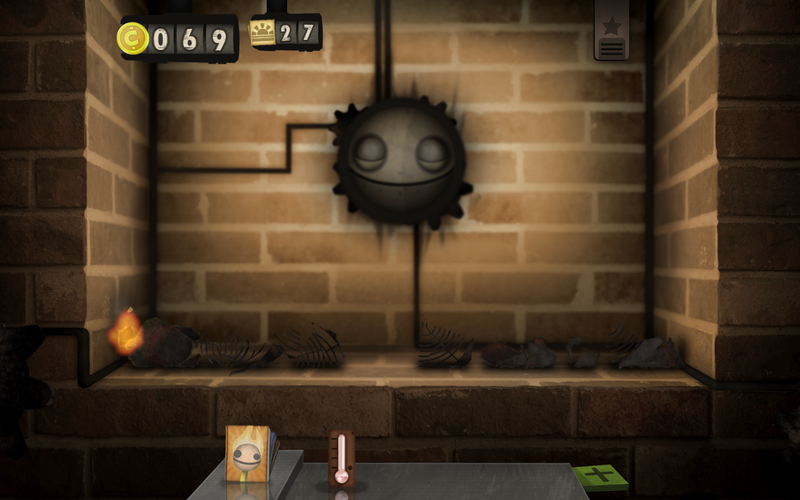 As it proceeds, the game introduces you to more elements. The instructions are funny, the in-game characters are funny. Why must games be about the same boring concept? Why are half the games about being a soldier -- fighting or shooting? Computers are limitless: games should experiment and develop their own message and goals. How does it feel to be a honeybee? Maybe a game should allow you to find out. It is surprisingly, funnily, engagingly good. Now throw this review in a fire!